The personal letters in Hebrew University archives and other sources have indicated according to published news that Albert Einstein apparently did not believe in God. However, such statements about his personal faith may be misleading and inaccurate as he did not believe in a personal God. Albert Einstein's religious views have been studied due to his sometimes apparently ambiguous statements and writings on the subject. He believed in the God of Baruch Spinoza, but not in a personal God, a belief which he criticized. He also called himself an agnostic, and criticized atheism, preferring he said "an attitude of humility." In the letters we get the feeling that Albert Einstein despised the observant Judaism of his own religion with its superstitions, obscurantism, strange manners and habits. And possibly his brilliant mind found other religions similarly illogical, irrational, lacking the logical clarity and beauty he found in scientific theory. "For me the Jewish religion like all other religions is an incarnation of the most childish superstitions. And the Jewish people to whom I gladly belong and with whose mentality I have a deep affinity have no different quality for me than all other people. As far as my experience goes, they are also no better than other human groups, although they are protected from the worst cancers by a lack of power. Otherwise I cannot see anything 'chosen' about them." As a scientist, theoretical physicist, he did not understand the role of irrational religion, myth and superstition for humanity. It is exactly this heritage of irrational religion with its many confusions and mysteries and inner contradictions that has helped the Jewish people to survive two thousand years of life in diaspora. 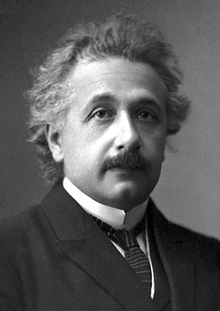 Einstein himself was invited to become the first president of Israel, an offer he declined. Another scientist, Chaim Weizman, took the job instead. The birth of the Jewish State is not a vindication of Jewish religion or Jewish people - it is a vindication of the God of Israel! In my opinion here is a significant difference. Not understanding the meaning of religion, the significance of ancient spiritual heritage, rabbinical mumblings and ancient interpretations of Mosaic Law in Talmud or the prophets of Israel inspiring modern Judaism is not the same as not believing in God. In fact, when he said God does not play dice he encapsulated the essence of a significant problem in theoretical physics into a shortest sentence possible!